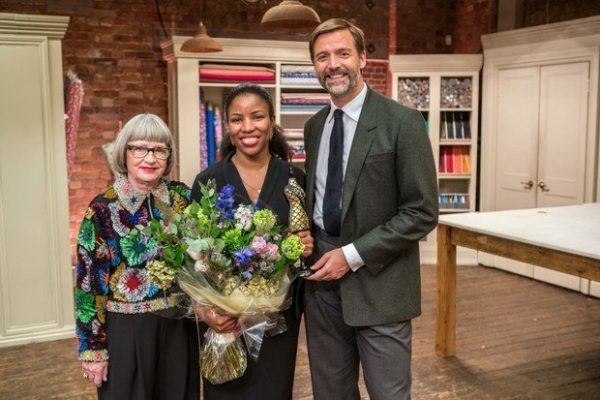 What an exciting final of the Great British Sewing Bee and such a well-deserved winner! If you have been inspired by the programme to start some sewing projects then we have a FREE POSTAGE offer this weekend when you use the code JULIET. The theme this week was ‘Outfits for Special Occasions’. As always the Pattern Challenge was first. 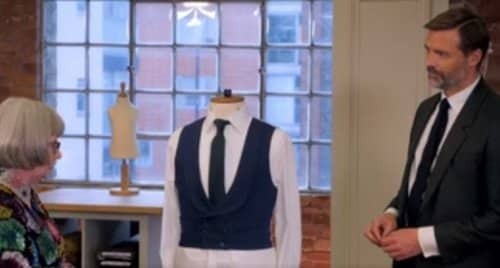 Contestants were given the task of making a fully lined, double breasted waistcoat with shawl collar, sham welt pockets, six buttons and buttonholes. They were to use wool for the front, and silk lining fabric for the back. Contestants were instructed to block fuse the interfacing – this is a good idea when there are lots of pattern pieces to cut out and interface. If you would like to learn more about block fusing there is a good article HERE. Juliet was a worthy winner of this round. Patrick thought her waistcoat was absolutely stunning as well as being well-pressed, well-fitting and neat and tidy throughout. Leah kept making mistakes but she did manage to rectify most of them and still get finished in the time. However she put the welt pockets on the wrong way and the collar wasn’t pressed properly. She came second. 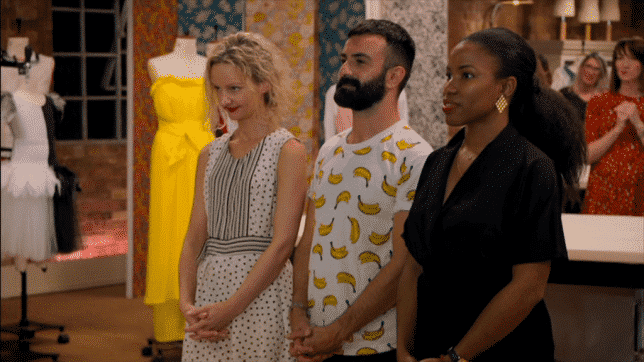 Ricardo came last – although the judges liked his choice of fabric they noticed that the collar was curling round and his lining wasn’t properly stitched. For the Transformation Challenge contestants had to turn net curtains into a stunning piece of evening wear. They were allowed to add fabric from the haberdashery but the curtains still had to be the star of the show. Leah won this challenge – she used the net to make a fishtail hem and a massive bow for a long dress made of patterned fabric. 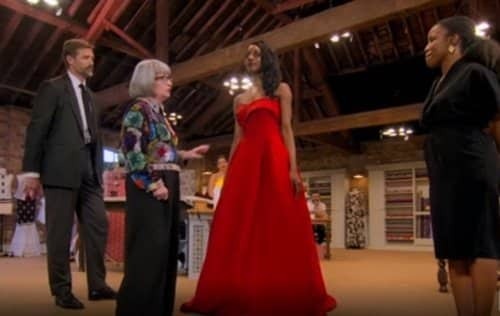 Juliet had a dilemma as she had already created a dress with net curtains in a previous episode, so had to come up with something different. Eventually she decided upon a dramatic white dress with a darted bodice, big bow and a full net curtain skirt – this gained her second place. Ricardo came last – he made a dress with a big baroque patterned net curtain lined with green fabric and with a green collar. The judges though his design was fantastic but it just fell short on the standard of the execution. If you would like to try a similar recycling project with old net curtains then try this simple net curtain skirt tutorial. Finally the all important Made To Measure challenge. This week finalists were allowed to choose their own models and it was nice for them to have the company of friends and family. The instruction from the judges was to create a strapless evening gown. Leah chose to make what she called a “magic” strapless evening gown. This was supported with a hidden bodice from which folds of gathered yellow crepe de chine cascaded appearing to only be supported from a ruffle at the neckline. This elegant floor-length dress was finished with a bow at the front. 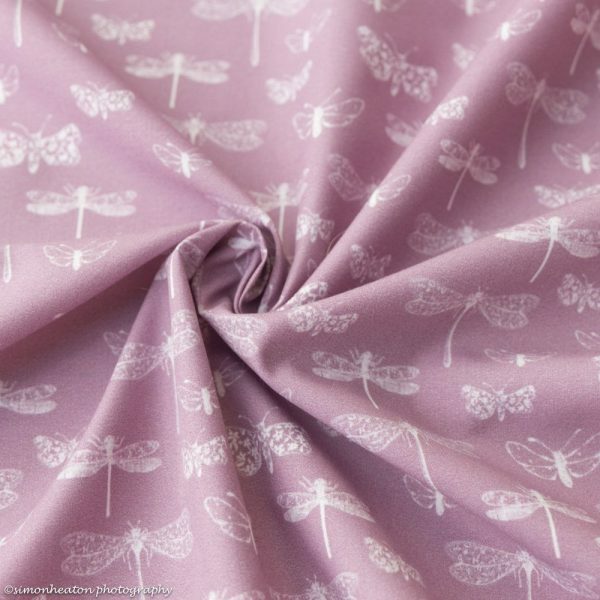 At the last minute Leah decided that the neckline ruffle needed to be pressed more — so she made her sister bend over the ironing board whilst she attacked the fabric with her iron! Despite this, Patrick thought her dress was very chic and Esme liked the fluid way the fabric moved. However, the top of the zip wasn’t finished and this let the garment down. Juliet made a striking ball dress in red rose-print jacquard fabric from a self drafted pattern. 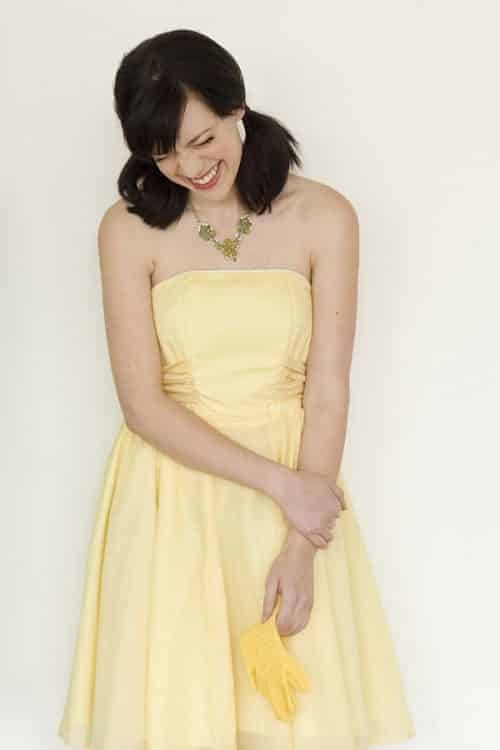 The strapless bodice featured an asymmetric sweetheart neckline and her dress even had pockets! The judges thought it had lots of drama and was very elegant, well-finished and refined. Riccardo’s dress reflected his concerns about plastic pollution in the oceans and he created a dress that looked like a giant jellyfish. This had a polyester crepe bodice and a crinoline style skirt supported by polyester plumbing pipe, covered in iridescent polyester organza with exposed seams to mimic a jellyfish’s tentacles. The judges liked the idea behind the dress and the way the skirt moved like a jellyfish. However, the hem of the skirt wasn’t level (which wasn’t surprising as Riccardo sewed the hem whilst the dress was still on the model) and Esme would have liked the exposed seams to be bigger and bolder. Then it was time for the judges to make their final decision. To everyone’s delight, the well-deserving Juliet won – the judges felt that not only did she have a fantastic eye for design and colour, she had also proved herself consistently capable of sewing to a very high finish in the tight time frames demanded by the competition. When told that she was the youngest winner at the age of 33 she said “It shows that anyone can sew … doesn’t matter how old you are … just get out there and have a go”. Her achievement is even more outstanding when you learn that Juliet has only been sewing for the last five years, and taught herself the tricks of the trade by watching YouTube videos and sewing DVDs. So bearing Juliet’s words in mind, why not “get out there and have a go”! 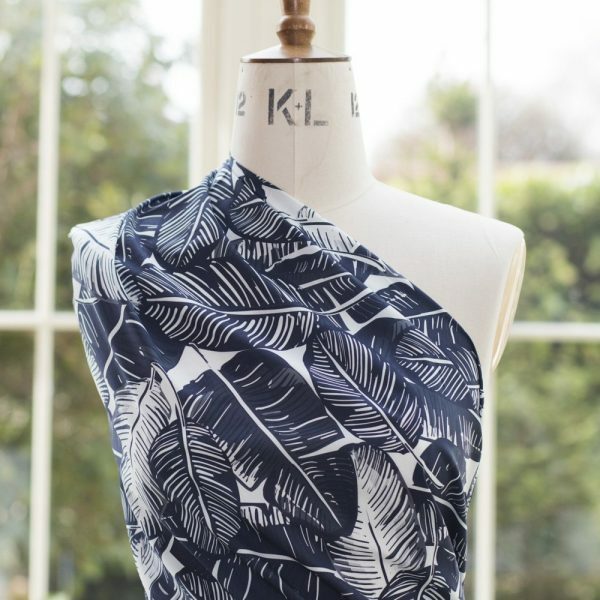 If you have been inspired by the Great British Sewing Bee and would like to try your hand at sewing a strapless dress why not try the Eclair Dress from Colette – even better this pattern is reduced to the very affordable price of £8.94 at the moment! 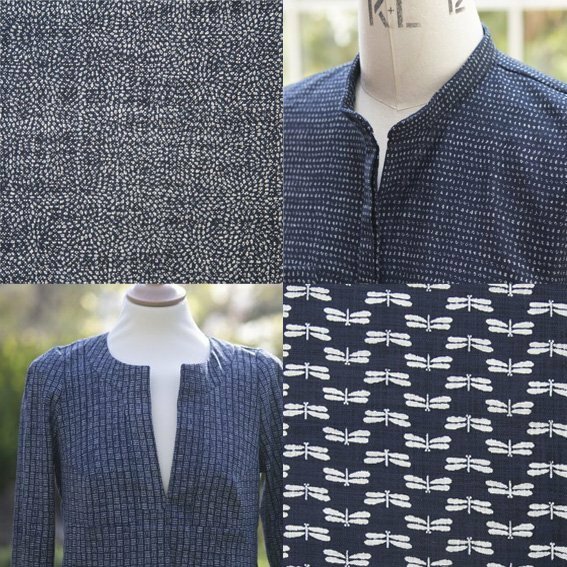 If you haven’t sewn much before and are looking for something very simple then why not try the River Dress and Top Pattern from Megan Nielsen. 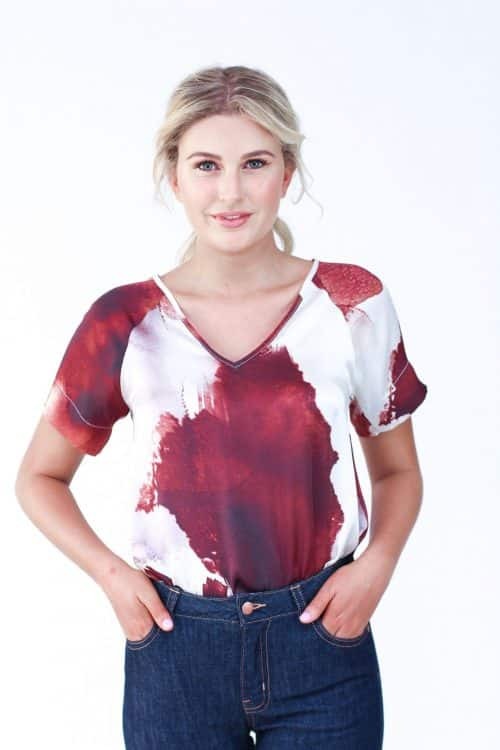 The top, in particular, is perfect for a beginner’s project – it is reversible and can be worn with the V neck or the round neck side at the front and it comes with a booklet containing detailed instructions to guide you through constructing your garment.